Temper endeavour, Create a chapter. 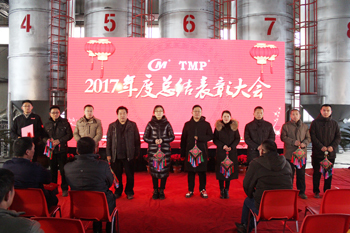 At 8:30am on February 11th, TMP held 2017 annual awards ceremony, all the staff had a joyous gathering before the Spring Festival. 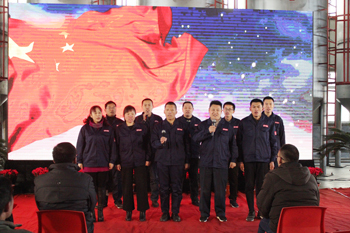 Under the guidance of the Chairman's correct strategy, TMP had sprung up a batch of enterprising and outstanding employees. 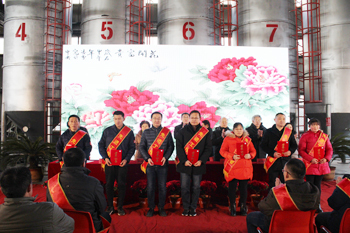 In order to commend the advanced and set up typical examples, TMP awarded honorary certificates and bonuses to 6 advanced workers, 2 outstanding contribution awards and 2 sales pacesetters, further encouraged all the staff. The advanced personal representative made a speech after the award. He said that today's performance would be the starting point for tomorrow's hard work. 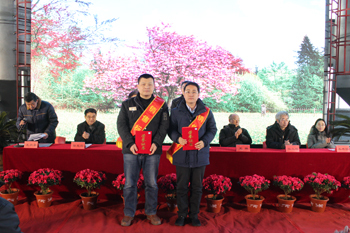 He would return to the company with his outstanding achievements. At the end of the commendation, the General Manager made a summary of the work in 2017 and a planning and deployment of the work in 2018. He pointed out that TMP forged ahead in risks and challenges in the past 2017. Under the grim situation of the fierce competition in the market, the soaring of the raw material and gas prices, we resisted pressure to accept the challenge, overcome difficulties and achieved remarkable performances: the economic indicators have increased significantly; got substantive breakthrough in terminal market; improved the international influence of brand; 1# line in TMP America and the 2# line of nonwoven geotextile in TMP China had been successfully put into operation; achieved breakthrough in technology upgrading and intellectual property right; the Quality Management System and CE certification passed the third party audit smoothly, etc. 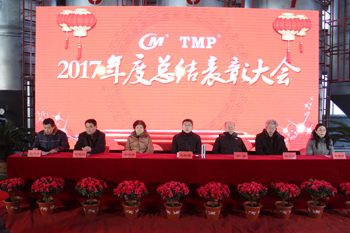 TMP successfully implemented various production and management indicators in the past 2017. The Chairman who was in America also sent a blessing to all the staff. 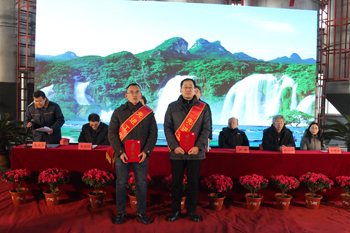 He said that as a new starting point for the realization of new goals and great leapfrogging in 2018, we should keep pace with the times, combine technological and management innovation, and push the enterprises to a new step.